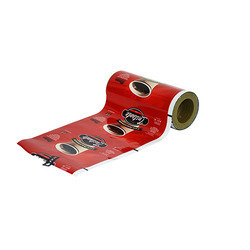 Printed Shrink Sleeves cover any form (glass, plastic, metal) or shape of container, with the same appeal. Since it covers the container all over (360 degrees), you can play with the colors, design and place all the information at once. It has reverse side printing which is scratch-proof and hence cannot be tampered with. Manufacturer & Exporter of Metallized Plastic Films. Our product range also comprises of Cast Polypropylene Films, Metallized Papers and Holographic BOPP Film. We specialize in offering an excellent array of Metalized Plastic Film. Plastic metal is a fast hardening and polymer bound metal for the removal of blow holes. After hardening the high-performing polymer machinable like metal. The excellent resistance to physical, thermal and chemical strain has especially been developed for the requirements of the foundry industry. 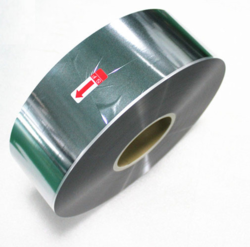 Through our expertise, we are engaged in the supply and wholesale of premium quality Metalized Plastic Film. These metal-coated films are manufactured using the best quality of raw materials as per our existing industrial standards. These films are available to clients within the specified time-period at affordable costs. Electro film introduced by Globe Group known for their expertise in Film Capacitors since last 25 years. The Plant is state-of-the-art with machinery from Germany and Korea. The emphasis of the group is ‘Quality First’. To impart product see-through features and enhance barrier properties & shelf life to packaged products like- Spices, Food Grains (Rice, Dal, etc), Dry Fruits, Confectionery Items, Dairy Products, Automobile spare parts & Pan Masala & Mouth Freshener.